When Diane Schroeder went for a colonoscopy at Elmhurst Hospital last fall, she hoped it would help doctors there find out why her irritable bowel syndrome had been getting worse. She never expected that five days later she would be admitted to the University of Chicago Medicine with pneumonia, in desperate need of breathing support. Schroeder, 69, a retired communications director from Lombard, Ill., vomited in the recovery room after the colonoscopy. She aspirated and accidentally inhaled vomit into her airway and was admitted to the intensive care unit in Elmhurst. Soon after, she developed pneumonia and required breathing support. Her blood oxygen levels stabilized, but after five days she developed acute respiratory distress syndrome, or inflammation of the lungs that severely limits oxygen intake. Normally, a person should be at 90 percent oxygenation or more, but Schroeder’s crashed below 75 percent. Doctors were giving her mechanical ventilation with maximum levels of oxygen, and despite the medical team’s best efforts, her family feared she wouldn’t survive. Her physician contacted Tae Song, MD, director of the acute cardiopulmonary support/ECMO program at UChicago Medicine. ECMO, or extracorporeal membrane oxygenation, is a process that uses a pump to circulate blood through an artificial lung that oxygenates the blood. Song and his team felt the patient was a candidate for ECMO support and decided to use it as an emergency measure. 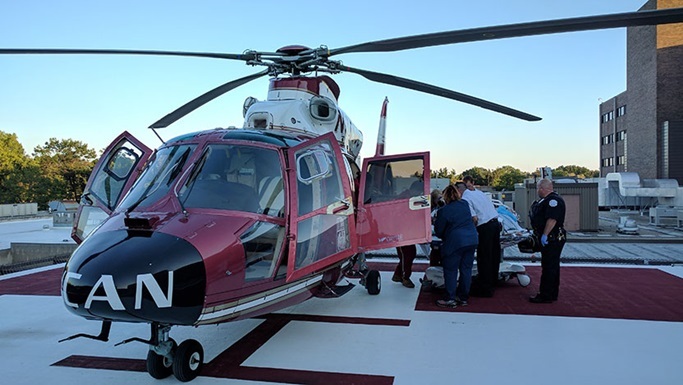 They flew to Elmhurst on a UChicago Aeromedical Network (UCAN) helicopter with a portable ECMO unit. Schroeder’s oxygen levels started to go up quickly after the team started treatment, and they flew her back to the main UChicago Medicine campus in Hyde Park. 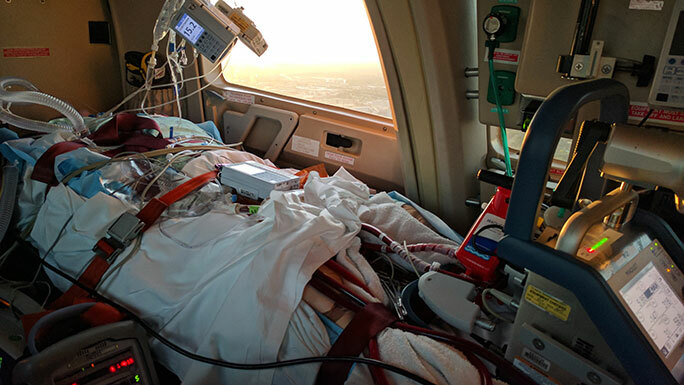 “A dedicated ECMO transport team, comprised of cannulating physicians, assistants, ECMO specialists, and the UCAN team, are able to rapidly deploy to provide emergency ECMO support,” he said. After almost a month recovering at the Center for Care and Discovery, she was released to a rehabilitation center, then eventually home. 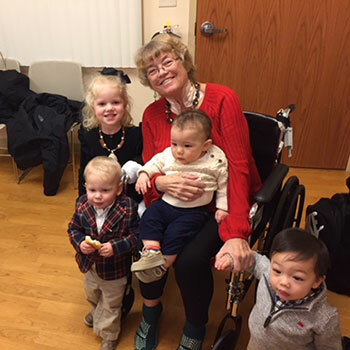 For Schroeder, who normally leads an active lifestyle and never had lung issues before, the episode meant missing spending the winter in Florida with her husband and visiting with her children and grandchildren for Christmas and New Year’s. Her condition has improved dramatically since leaving the hospital though, and she feels fortunate that doctors at both hospitals acted when they did. “It was a lifesaving procedure that did just what it was intended to do, and it bought me enough time to allow the lung to start to heal on its own,” she said. This story is published on uchicagomedicine.org.